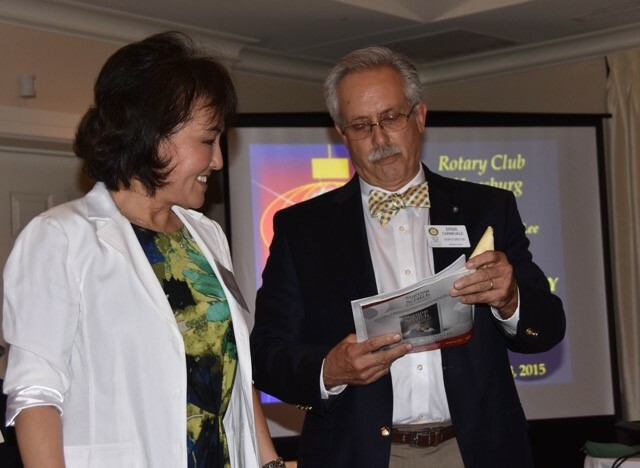 The Rotary Club of Leesburg warmly welcomed new member Julia Lee on September 3, 2015. Ernie Carnevale conducted the induction ceremony, and Member Chair Pam Banks provided the new member material to Julia. Julia has lived in Northern Virginia for most of her life. After graduating from George Mason University, she worked as an accountant in Springfield, Virginia. 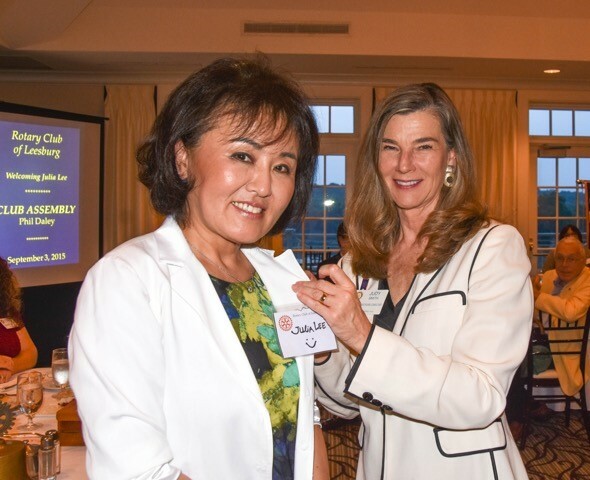 She eventually moved to southern California with her husband and they lived there for seven years until her husband moved back to Korea to continue his medical practice. Julia returned to Virginia with her two children, and sixteen years ago, a friend, who owned a successful flower shop in Washington, D.C., influenced her to go into the floral business. She started working as a clerk in a local flower shop and after just seven months, Julia took over ownership of the business, Countryside Florist. She has already become involved in planning the upcoming Toast to Our Heroes Wine Event at Murray Hill.